New York City offers a bounty of activities surrounding the day of amor. This Valentine’s Day, plan a rendezvous that will leave your sweetie with heart flutters. Spend an afternoon with Lola Haze designer and founder, Laura Mehlinger, as she advises you on selecting lingerie best suited to your personality (or alter ego). Intended for the playful, confident woman with a bold, whimsical fashion sense, Lola Haze takes inspiration from New York City, art deco architecture and influences across the globe, all of which are infused into the line’s intricate detailing and innovative color and fabric combinations. Mehlinger will also help pair a bottle of wine with your new threads. Visit Lola Haze to browse the current collection. Located on the fourth floor of the historic Plaza Hotel, this elegant, wine-centric spa is a great escape from the hustle of the city. 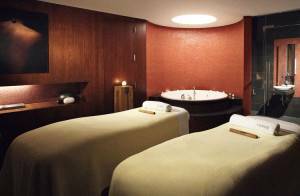 Unwind with a couples-friendly treatment such as the 50-minute romantic and relaxing sculpting massage or a barrel bath for two. VIPs are invited to the exclusive couples lounge for a custom wine tasting by the personal sommelier. City Winery offers interactive and informative hands-on classes that teach all facets of the winemaking process. The experience begins with the selection of the grape variety, the vineyard source, even the type of barrel oak, and patrons can choose how involved they are in the winemaking process. The wine is closely monitored by the winemaking team through development and aging to achieve the perfect profile. Wine aging times vary, but the average timeline for a red variety is 12 months. Want instant gratification? City Winery also sells house blends with customizable labels. Join the hilarious and mystifying blogger Josh Beckerman, known to many by his alias “Foodie Magician,” for a culinary adventure through Chinatown. 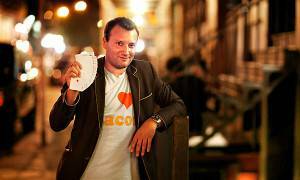 Beckerman performs card tricks, reads your mind to name your favorite NYC restaurant and entertains with witty food-filled anecdotes as he maps out the area’s best dumplings, dim sum and pork buns. Upgrade your tour and keep the party going at a family-style dinner with this magical man. Jenene Ronick is one of the foremost experts in concierge services and lifestyle management. Over the past 10 years, Jenene forged and executed concierge programs with some of the world’s leading hoteliers, real estate developers, hedge funds, and Fortune 500 clients. Previously, Jenene ran guest relations at CNN for 7 years. At CNN, she learned to address the exacting demands of high net worth clients, and developed relationships with hundreds of exclusive vendors to seamlessly execute and exceed requirements. At Luxury Attaché, she leveraged her expertise to create a unique lifestyle service provision fueled by proactivity to provide clients with personalized service delivery, access, convenience and once in-a-lifetime experiences. Jenene attended the NYU Stern School of Business, and the University of Colorado, Boulder.